Gabe is a sweet happy go lucky boy from Houston. He loves all people and is a fun loving guy. He’s quirky, he loves to look in the mirror- his foster calls him “GQ Gabe”, he likes to sit on your head, or lie with his bum in the air while snorting. He likes to lightly nibble on your arm while you rub his tummy, he’s a funny little man. His foster mum describes him as a great balance of calm and excitable energy; he loves to play but also wants to wander on his own, and most importantly, he just wants to snuggle! He loves to find a sunny spot for naps, or be right next to his human. Gabe is working on his separation anxiety (he’s not destructive, he just cries a little when you’re not around) and is crate-trained! He does well with other dogs, and would do really well with another dog in the home with comparable energy and temperament! He is affectionate with all people and dogs, and he definitely wants to chase birds (who doesn’t?) Though Gabe cannot hear, don’t let that fool you! 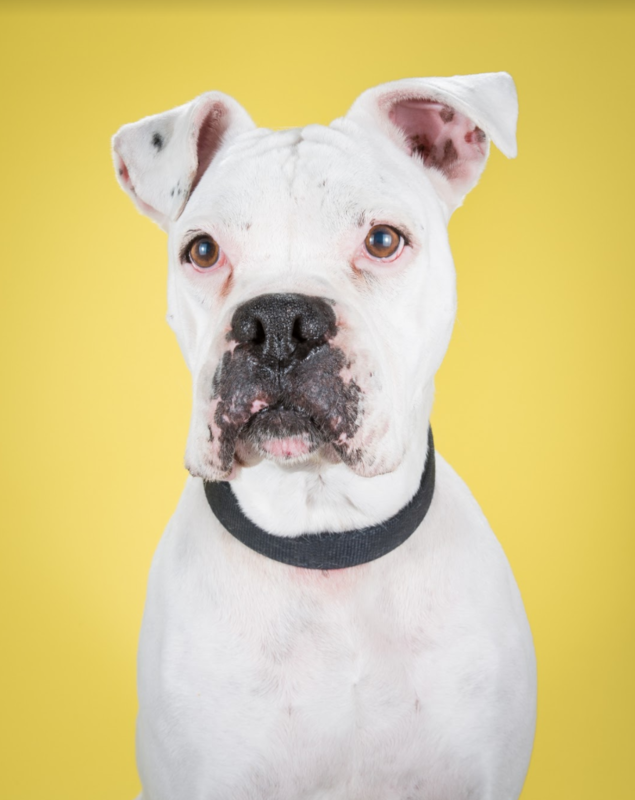 He is a very clever boy, and has already learned his commands for “Sit,” “lie down,” and “come!” As he really loves his humans, he has been great with his recall with his foster-mom; he looks for visual cues and comes back easily when called. He is working on his leash training and doesn’t like sharing his food with other dogs. He is also great in the car; even tries to hold your hand while you drive! Could Gabe be the snuggle bug of your dreams? Apply to adopt him today!